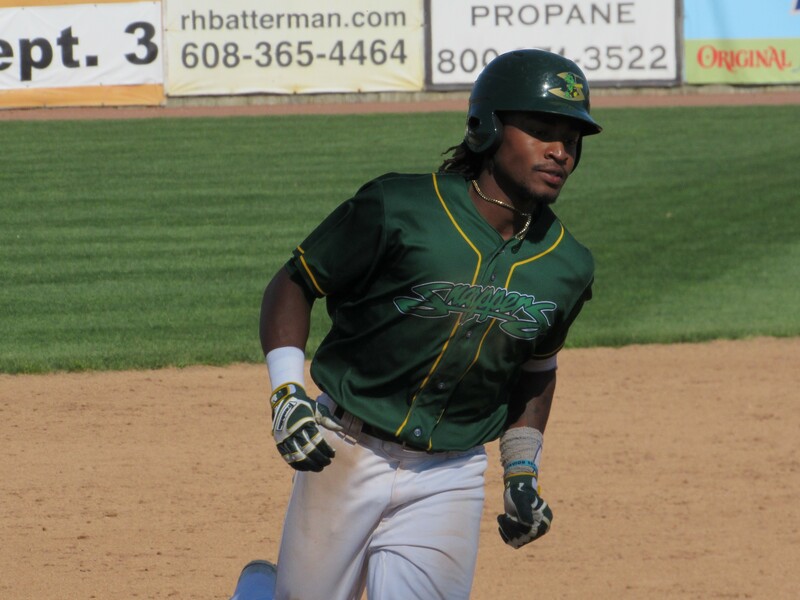 Beloit Snappers centerfielder JaVon Shelby rounds third base after homering in the 8th inning. Dalton Sawyer pitched five no-hit innings and the Snappers hit four home runs as Beloit beat the Burlington Bees 8-0 Sunday at Pohlman Field. Sawyer was perfect through five innings, striking out eight batters without allowing a baserunner. He was removed before the start of the 6th inning because he was on a low pitch count; he threw 58 pitches in the game. It was the third straight scoreless outing for Sawyer, who has allowed only two runs this season (both in his first appearance). He was relieved by Mitchell Jordan, who also was impressive in his four-inning save. Jordan gave up only three hits and one walk, and struck out two batters. 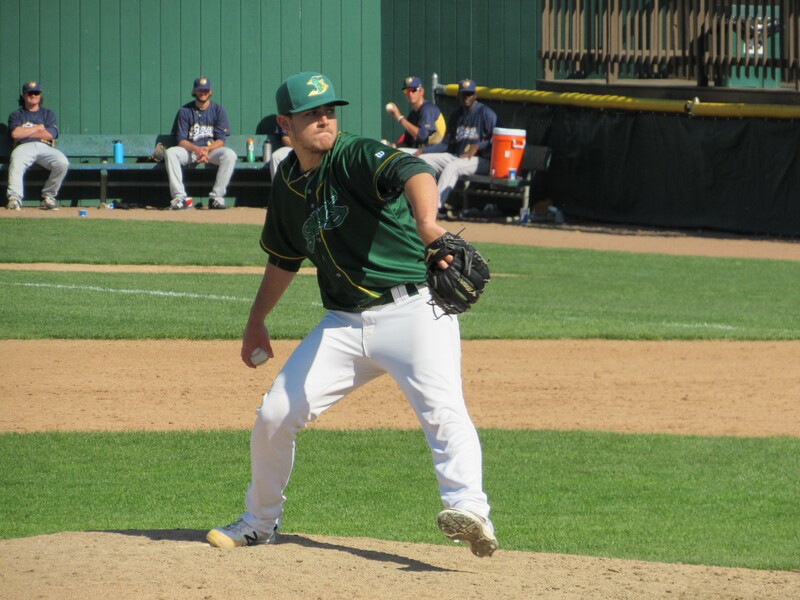 Beloit Snappers RHP Mitchell Jordan gave up only three hits and one walk in four innings of relief. Bees starting pitcher Andrew Vinson took the loss despite making a quality start, allowing two runs (both scored on a Luke Persico homer), four hits and one walk in five innings. He struck out six batters. The Snappers got homers from three other players besides Persico: Edwin Diaz (three-run homer), Eric Marinez (solo shot) and JaVon Shelby (two-run homer). 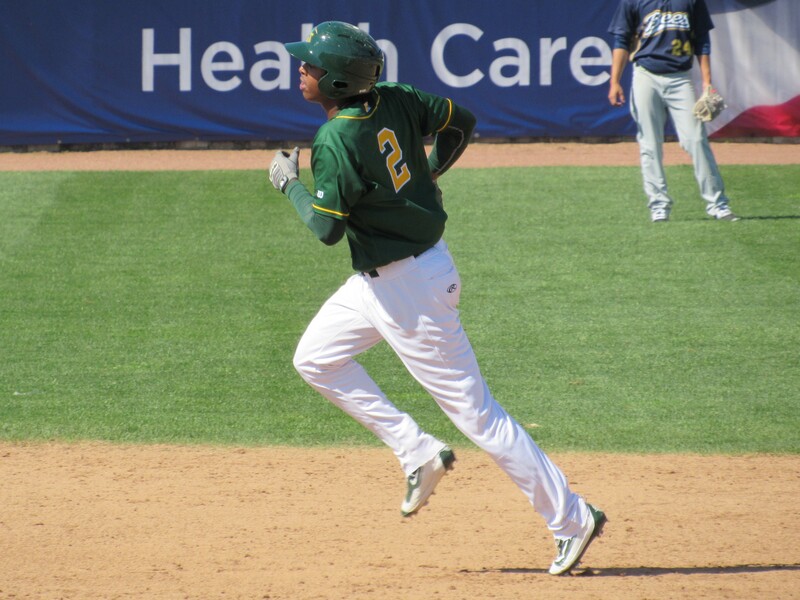 Eric Marinez rounds the bases after hitting a leadoff homer in the 7th inning. He was one of four Snappers players to go deep for Beloit on Sunday. This entry was posted in Beloit Snappers, Burlington Bees, Midwest League. Bookmark the permalink.